Two UNIST students have been honored with the 2018 Talent Award of Korea. 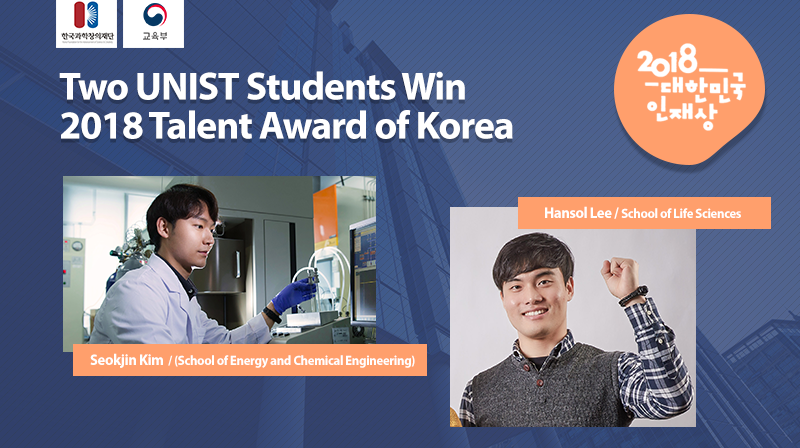 The recipients of this year’s Talent Award of Korea include Seokjin Kim in the School of Energy and Chemical Engineering and Hansol Lee in the School of Life Sciences at UNIST. The Talent Award of Korea is an award bestowed by the Deputy Prime Minister and Minister of Education of Korea since 2014. It recognizes those individuals who have performed exemplary talents or outstanding meritorious service. Every year, the award goes to 100 university and high school students who became distinguished in certain fields through effort, challenging spirits and creativity. Seokjin Kim (Ph.D. Candidate, School of Energy and Chemical Engineering, UNIST) was given the award in recognition of his contributions to the development of materials to tackle global energy and environmental issues. 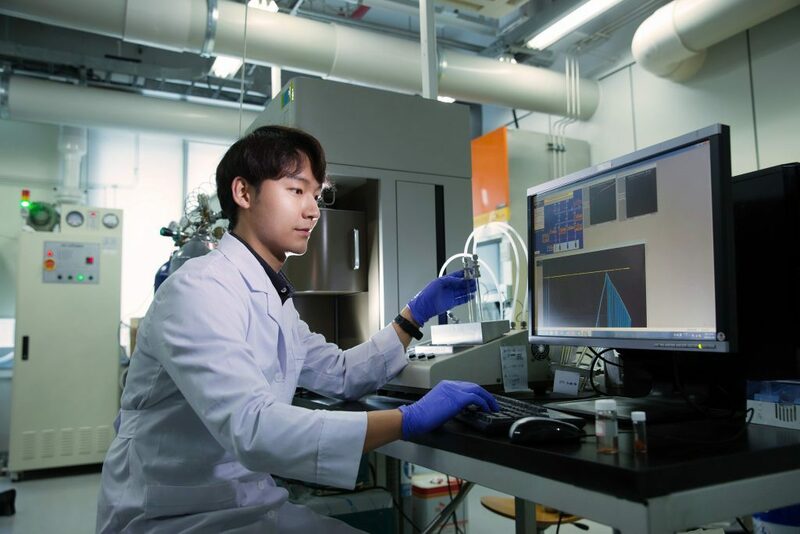 He is currently working on the development of catalysts for hydrogen production, as well as technologies for hydrogen production and storage under Professor Jong-Beom Baek. He has published numerous SCI research papers on the synthesis and application of aromatic network polymer for catalysts. Seokjin Kim in the School of Energy and Chemical Engineering at UNIST. 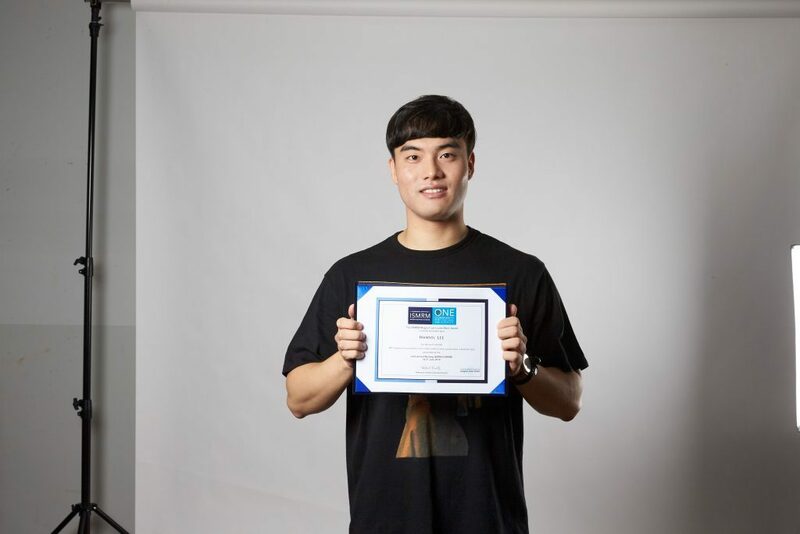 Another recipient, Hansol Lee in the School of Life Sciences at UNIST, has been given this award in recognition of his active participation in early detection of degenerative brain disease. He is currently working on the development of techniques for the early diagnosis of neurodegenerative disorders, such as Parkinson’s disease and dementia, using MRI under Professor Hyung Joon Cho. Hansol Lee in the School of Life Sciences at UNIST. The award ceremony took place in Sejong Center for the Performing Arts on November 30, 2018. Four students from Ulsan have been selected for this year’s Korea Young Talent Award, each to receive Minister Prize. These recipients include two high school students and two university students: JiHwan Park (Beomseo High School), DongHyub Lee (Ulsan Technical High School), SeokJin Kim (UNIST, School of Energy and Chemical Engineering), and HanSol Lee (UNIST, School of Life Sciences). 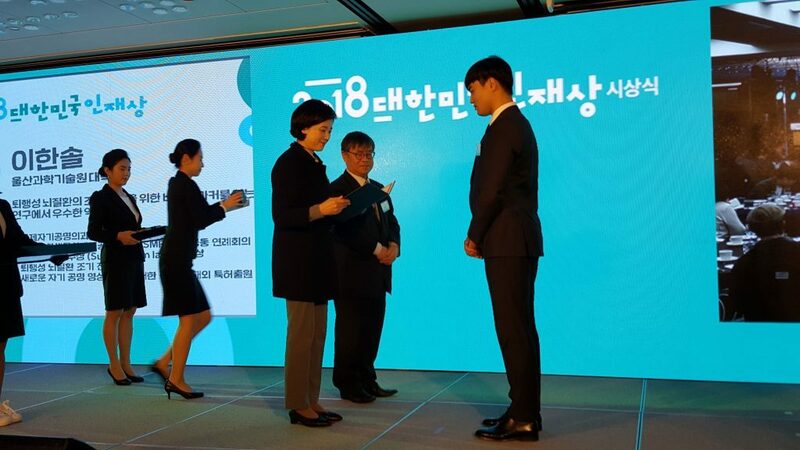 Education Minister Yoo Eun-hae is presenting the 2018 Talent Award of Korea to Hansol Lee (School of Life Sciences, UNIST) at the ceremony, took place in Sejong Center on November 30, 2018.